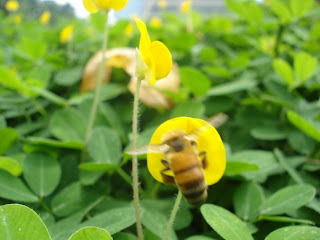 To make a bee-line is to folow the example of bees in taking the shortest route from one place to another. The expression comes from the belief that bees return to the hive by the shortest possible way after they have gathered their food. and the shortest distance between two points is, of course a straight line.